A lot has happened in the last few days in backchannel conversations and social media in relation to the piece in The New York Times Magazine which put the spotlight on ancient DNA, and David Reich, for the general audience. 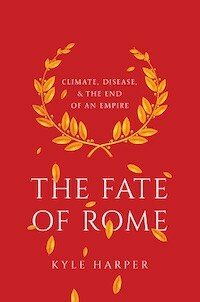 Unlike Carl Zimmer’s ancient DNA column in the science section of the paper, the people reading Gideon Lewis-Kraus’ 12,000-word piece are not going to be familiar with the field and will miss omissions and the context. Sample size: “A small sample,” she replied, “is only representative of itself.” This is a weak, though superficially valid, objection. Genome-wide analysis can yield thousands of markers out of a single individual. This is arguably far better than a few markers out of hundreds of individuals. The first “Western Hunter-Gatherer” and “Ancient North Eurasian” samples were representative of huge swaths of humanity. Later samples refined, rather than overturned, earlier suppositions. Humans may not be panmictic, but they mix over wide territories and undergo population expansion from small panmictic groups. For the granularity of questions being asked, representation is not a major issue. Peer-review was gamed: “Even so, publication on successive days was apparently not a satisfactory outcome. On Feb. 19, Reich’s paper appeared in preprint form on the web, eight days before the Jena effort came out.” Labs compete to release results at the same time all the time. Peer-review is more of an art than a science. David Reich’s lab has produced a lot of high-quality papers, and a proven track record. The researchers are based out of Harvard. There are inequalities and biases that this introduces, but it’s not unique or special to the Reich lab. Additionally, one of the authors in this particular case disputes details within the piece. To say that a paper is “unrejectable” is not a “good look,” but style is different than substance. Reviving discredited theories: “Archaeologists, who feel as though they learned this lesson long ago, thus survey the rapid rise of ancient DNA with an overwhelming sense of déjà vu. By once again giving “migration” pride of place in the story of prehistory, paleogenomics has resurrected some old intellectual ghosts.” Geneticists who first saw evidence of discontinuity in the late 2000s were surprised. More primitive methods had suggested continuity, in particular, using contemporary allele frequencies and diversities as proxies for ancient dynamics. 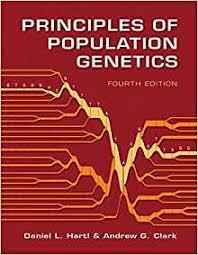 The problem is that there was an error in the premise: population turnover was much more common in the past in a genetic sense than anyone had expected. When these results first emerged some archeologists dismissed them (often making recourse to small sample sizes). Some continue to do so. Paleogeneticists currently exist in a theory-poor environment, rich in empirical results. They aren’t constructing grand narratives anew so much as reusing furniture to the best of their abilities. What archaeologists and anthropologists should be doing is constructing richer frameworks consonant with the newest data, not griping that geneticists are discarding old theories that don’t fit with the data with older theories which are not congenial for various serious. In the comments, Doug Jones points out that some archaeologists long dismissed historical linguists, while an anthropology blogger explains that the framing in The New York Times doesn’t really describe what happened in archaeology very well. The oligopoly: Science is defined by the pareto principle. Most of the output is from a minority of researchers. The rich get richer. Places like Harvard, and the Broad Institute, have a host of people who are very bright, with diverse skills, and great resources. It is no surprise they produce at such a fast clip. Online one biologist suggested that “David Reich owned the field.” If you just read the piece in The New York Times that’s what you might think, because Eske Willerslev is not mentioned in it. That is either a huge oversight or a conscious aspect of narrative construction. Willerslev and Reich have been competing for years. All the problems of bigness associated with the Reich group probably apply to the Willerslev group. 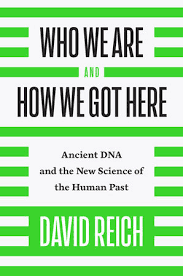 David Reich stands athwart the field of ancient human DNA (for non-humans, you might want to talk to people at UCSC), but the fact is that much of science is dominated by a few big laboratories. This is systemic to science, not particular to ancient DNA or David Reich. The piece tries to personalize something which is a framing issue across all of science (including in fields like archaeology). Field vs. field: Much of the story pits archaeologists against the geneticists. From what I have heard (look to social media), this is misleading. Many archaeologists want to work with the Reich (or Willerslev or Krause) group. Additionally, the ancient DNA labs need the archaeologists. They’re the ones with the samples. And, David Reich is not the only player in this game. There were a lot of anonymous quotes in the piece. Frankly, I’ve heard similar things as these quotes, but often half in jest. Data acquisition and cultural sensitivities: This is a big issue, and it is intertwined with normative considerations. Who “owns” a 50,000-year-old subfossil? But the fact is that David Reich and his group are within the normal range of distribution in terms of how they work. Perhaps this is wrong, but again, then the problem is systemic! Of the various threads in the story, I think the issue with the scientific oligopoly in ancient DNA and relationships with indigenous peoples were the most above board. When it comes to the oligopoly, it’s just a fact of life. And it’s a fact of life widely in science. It has nothing to do with David Reich, but rather, the structure of science as a whole. If you want to go at Reich, you’ll have to go to a lot of prominent scientists. Myself, I think it’s a bit like the issue with Amazon. The service is very convenient for a consumer, but in the long-run is it best for our society that production and delivery are in the hands of only a few? How one should handle samples, if one should take samples without total cultural consent, etc. is a huge issue, with lots of disagreements. Though the piece highlighted Vanuatu, much of the Reich lab (and others) work has been in places like Europe where this is not a major issue. In the near future, there will be work coming out of the Indian subcontinent, and controversy will emerge because geneticists are discovering things that will discomfit some Indian nationalists. In fact, Indian nationalists already cast aspersions at the Reich group (I get some conspiratorial emails now and then). Finally, some may think that David Reich is a scary guy because of anonymous comments, implying he has the power to destroy careers. My personal experience with David Reich and people in his laboratory is that they are approachable and down to earth nerds. They are “wicked smart,” and some of them quite obviously know it (while others are very British). But for a research group at the pinnacle of their subfield, they don’t hold themselves apart and above the rest of us plebs. If you are interested in the research that David Reich’s group engages in, they will return your interest with open engagement. Their goal isn’t to get rich, powerful, or even save the world. They just want to know stuff. A lot of stuff. Fast. In large quantity. Quibble with their means, but their ends are very transparent and clear. If you want to “know” what David Reich is about, read his book. Or, read his lab’s papers. There are some bigshot professors who have colorful personalities that can fill up pages and pages of a profile. David Reich is not one of those. He is notable for his research. There are bigshot professors who pit their postdocs against each other in a Darwinian manner. Who schmooze with the great and powerful and have no time for the non-academic proles. David Reich is not one of those. He’s obviously not perfect. But neither is he a puppet-master at the center of a grand scientific conspiracy. Yeah, I got that feeling. Reich came off as a pandering jerk in his own book, especially at the end where he hit Watson. On the other hand, someone so raw that he’d let all that slip in a book he himself wrote, can’t be accused of dishonesty. Reich is I hope learning this week that all the pandering didn’t save him from the modern media. Thanks, excellent observations! And I notice in your twitter feed at the right that you’ve added a note on funding, which I think is a key factor in creating scientific oligopolies in the first place. In my own field back in the day, I recall us being entirely dependent on funding to do the work we wanted to do, and indeed to do any work at all. There was intense competition for grants from the NSF and DARPA, and getting that big million-dollar grant ensured that a particular lab could afford the best equipment, the best grad students, and consequently get more publishworthy results. (Two groups could propose very similar ideas, but only the one that got funding would then go on to build a name for itself.) That in turn created reputations, and getting papers into top conferences got easier. Rich getting richer, as you say. A lottery system may end up being fairer, as the Vox article suggests. At the peril of inviting scorn, I’d like to suggest a form of soft affirmative action in favor of smaller labs that come up with brilliant ideas, just to spread the money around. Would say Reich’s book, marvellous and approachable as it is, would though tend to perhaps enforce the idea the idea has he is a monopolist, since he does not to my recollection mention any results from other labs. Other than perhaps Malta boy I think. Even when they preceded or anticipated his lab’s (e.g. Caucasus Hunter Gatherers). And some while ago the NYTimes tried to bully anyone who dared notice Amy Cuddy’s failings. This is just more of the same. A cancer is eating the academy and the NYTimes is cheering on the cancer. That’s all you need to know. Do you agree/disagree with that “anonymous” (I suspect that writer is someone of high stature in genomics field) assessment in the link? i don’t think it’s a media conspiracy. they aren’t that coordinated. but there are bottom-up dynamics.